In the past decade, the attention of science and technology has focused on production of nanoparticles. There are various ways for synthesizing of nanoparticles that many of them are not cost effective due to power and material consumption. Therefore, production of nanoparticles through biologic ways is needed. For this purpose, different biological structures such as plants, algae, and microorganisms such as bacteria, string molds, and yeasts are used for nanoparticles production. This study is focused on biosynthesis of iron oxide nanoparticles by cytoplasmic extracts of bacteria Lactobacillus Fermentum, which is a probiotic microorganism, based on the method of green chemistry. After preparation of cytoplasmic extract of bacteria Lactobacillus Fermentum through freez-thow method, iron sulfate solution (III) with a concentration of 10-3 M was added in an equal volume ratio (V / V% 10) and incubated for 3 weeks at 37 ° C in the presence of 5% carbon dioxide. Production of nanoparticles was investigated by X-ray Diffraction (XRD) and Transmission Electron Microscopy (TEM). Changing the color of solution to black is an indication of iron sulfate nanoparticles production. 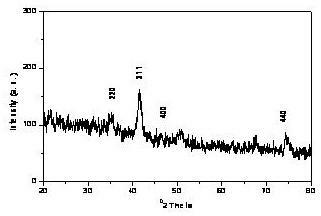 The formation of iron oxide nano crystals by Lactobacillus Fermentum cytoplasmic extract was shown by XRD analysis. The average nanoparticles sizes as determined by transmission electron microscopy (TEM) were found to be about 10-15 nm with a spherical shape. Using Lactobacillus fermentum cytoplasmic extract can be considered as an efficient biological method for the production of iron oxide nanoparticles .In addition to be environmentally friendly, this method is cost effective. 1. D. Mandal, M.E. Bolander, D. Mukhopadhyay, G. Sarkar, P. Mukherjee, Appl. Microbiol. Biotechnol. 2006, 69, 485. 2. X. Li, H. Xu, Z. Chen, G.J. Chen, Nanomaterials. 2011, 2011, 1. 3. S. Hagedorn, B. Kaphammer, Annu Rev Microbiol. 1994, 48, 773. 4. 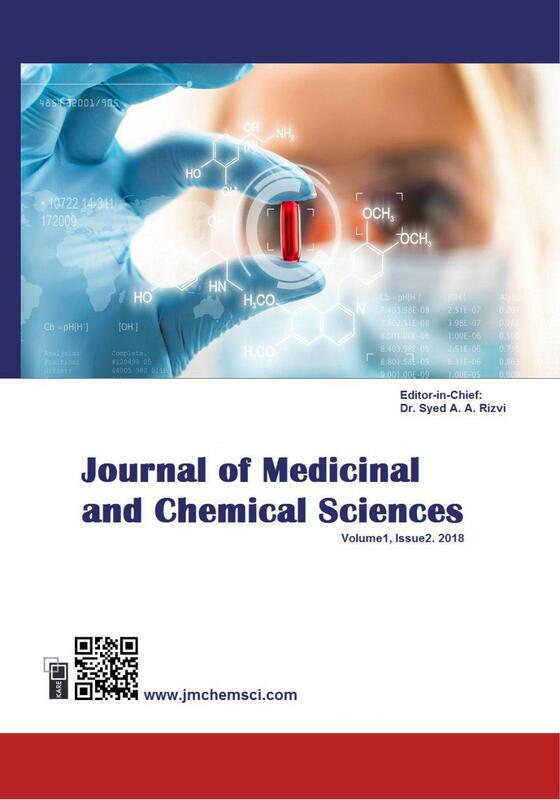 A. Nanda, M. Saravanan, Nanomedicine. 2009, 5, 452. 5. Z. Wang, L. Zhang, T. Tan, J. Chem. Eng. 2010, 17, 1836. 6. B. Omidi, S.J. Hashemi, M. Bayat, K. Larijani,BEPLS. 2014, 3, 186. 7. K. Mollazadeh-Moghadda, J. Young. Invest. 2010,19, 18. 8. K. Prasad, A.K. Jha, Natural Sci. 2009, 1, 129. 9. H.L. kashani, J. Appl. Biochem. 2012, 3, 7. 10. M. Mohseniazar, M. Barin, H. Zarredar, S. Alizadeh, D. Shanehbandi, Bioimpacts. 2011, 1, 149.